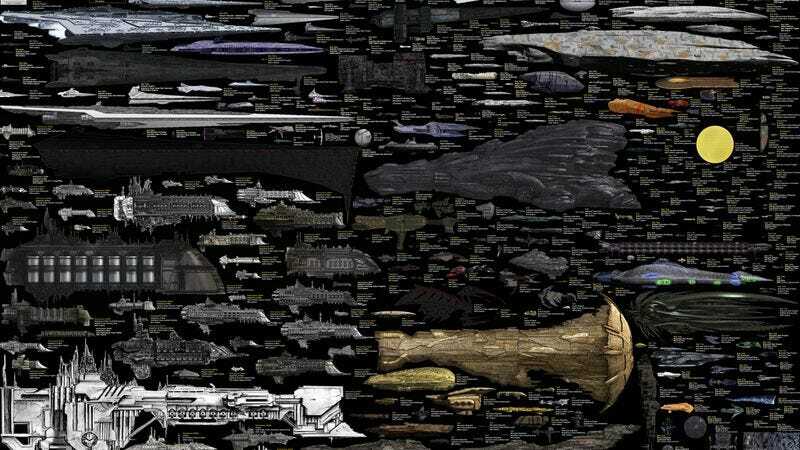 Scale has always been an defining characteristic in science fiction. After all, against the belittling, infinite vastness of the universe, creators in the genre have to work that much harder to make their ships seem epic and not inconsequential (if that is in fact their aim). 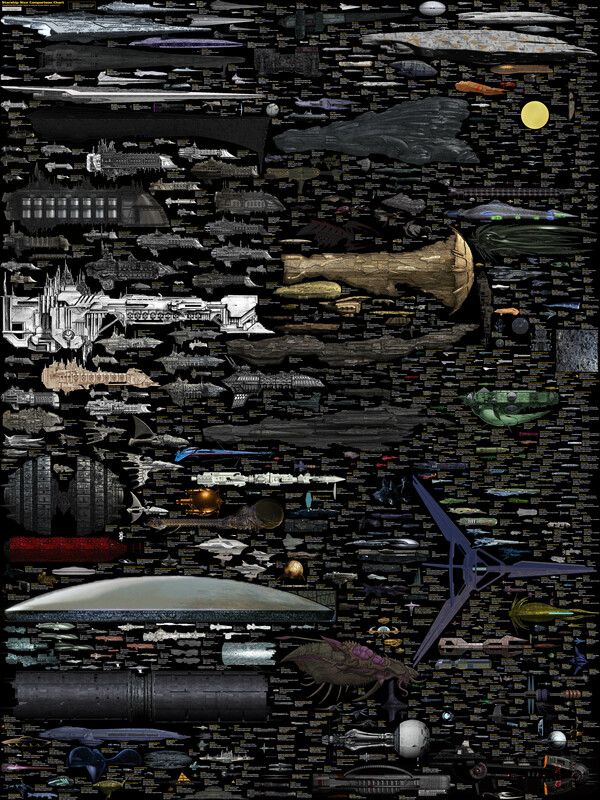 So it’s fitting that artist Dirk Loechel’s chart of some of sci-fi’s most famous ships, from Star Trek to Starcraft, is massive in its own right. One thing that becomes clear from Loechel’s chart is the way different works of science fiction use scale to their advantage. Star Trek, for instance, with its focus on exploring the unknown, is populated by ships on the small side (with the notable exception of the 2009 Star Trek’s outsized Romulan mining ship) while ships in works that are more overtly fantastical like Star Wars and Warhammer 40,000 tend to have more bombastic proportions. In any case, unless size truly doesn’t matter, it looks unlikely that the Enterprise will successfully take on a Star Destroyer any time soon. See the full-size image at Deviant Art.